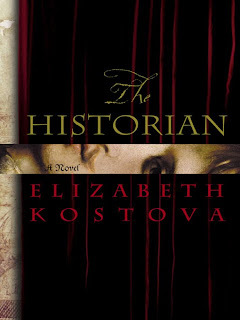 The Historian by Elizabeth Kostova!!! Im a follower..would love to read. I'm a follower please count me in! I can vouch for this being an excellent read. I loved it when I read it a few years back. I'm a follower and have your blog on my favourite links list, but alas, I'm not eligible for your giveaway as I live in Australia. Please do enter me for this giveaway. I'm interested in reading The Historian. Totally wanting to read this book, I was telling Phil all about the summary. Hi! You entered my giveaway for a blog makeover...yes you're in for that, not too late. Please add me to this giveaway. I just heard how good this book is and want to read it! I am a follower, count me in for the contest! Thanks!